Imagine, you created a website a few years ago. It’s still out there, but you didn’t make any changes or updates ever since. So, your site probably needs a major – SEO – update. If you have a static website, you might consider to move your site to a CMS, like WordPress. What’s the best choice? I’ll help you out and explain in which case it would be better to start all over using WordPress. If you want to keep updating it, then yes, you should really go for WordPress, because that makes that an awful lot easier. Of course, with WordPress you also get Yoast SEO and a lot of other advantages or things that you don’t have to build, that will work automatically for you. So, yes, you should probably do that. The funny thing is, the output from WordPress will still be HTML, so you could probably get your theme of your site to look like your old site very easily. If you just hire someone to copy that into a WordPress theme and maybe do some optimizations as they do that. So, it could be a very simple job on Upwork or some other rental site, where you just go in and say “Hey I want you to change this theme to a WordPress theme and then input my content in it.” That could be a very simple job for someone and might save you an awful lot of time. The post Keep your content fresh and up to date! appeared first on Yoast. One of the things we are understanding more and more, is that we have failed to explain why our WordPress SEO Premium plugin is awesome. Today, I’d like to tell you about the redirect manager that’s contained in it. This is one of the 13 videos that you get along with WordPress SEO Premium as well, that explain how to use the plugin. Note that these notice have been improved slightly from what they look like right now, you’ll all get this update next Wednesday when we release WordPress SEO 2.2. The redirect manager is heavily tied into the Google Search Console (formerly known as Google Webmaster Tools) integration, which allows you easily solve all Google’s crawl issues. Simply click “Redirect” and tell the plugin where the redirect should go. WordPress SEO, even the free version, helps you to optimize your site. 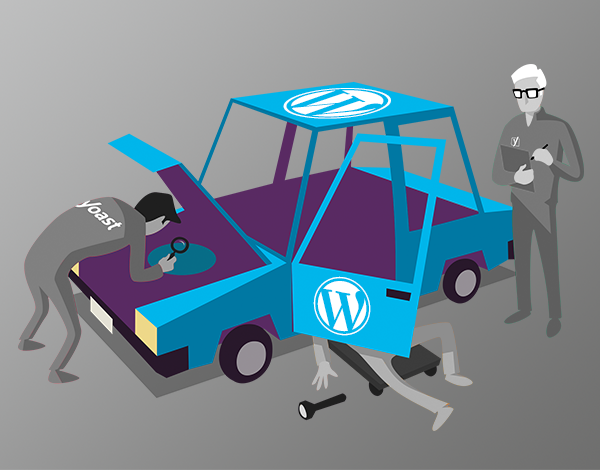 WordPress SEO Premium, with this functionality, helps you make sure your site stays optimized. Interested? Go get WordPress SEO Premium. It includes a year of support and comes with a month-long money back guarantee, no questions asked. 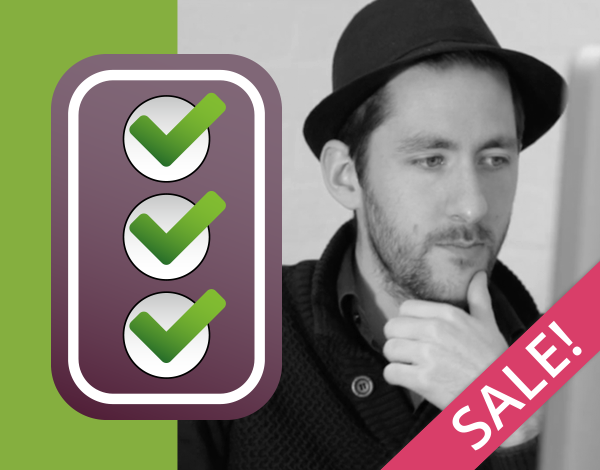 This post first appeared as Feature highlight: WP SEO Premium redirect manager on Yoast. Whoopity Doo! When you maintain a blog, you write different types of posts. Of course, you try to write evergreen cornerstone content posts all the time. The reality is different. Some posts have historical value, others only have momentary value. You should go through your archive every once in a while, and clean it up. This should be a part of your regular website maintenance routines. One way I like to go through our old posts is by checking our XML sitemap. You open the post or page sitemap and go through the posts from old to new. There are three possible decisions for each post: keep, re-do and delete. Let’s go into what they mean you should do. The posts’s content is still valid and true. The post is well optimized for its focus keyword. The post is receiving decent traffic. Decent being relative to how big your site is and how such a post could do if it was well optimized and posted now. If you’re going to keep the post, check if it has all the appropriate tags and categories. Maybe it should link to posts you’ve written later on to tie them together. This shouldn’t be more than a few minutes work for each post. The posts’s content is no longer completely true. The post is poorly optimized for its focus keyword. The post is doing far worse than what it would do if you wrote a new one. This is often tied to point 2 being true. At this point it’s usually best to start fresh. Read your old post, copy some of the good bits into a new post and start writing. Optimize the content for the focus keyword. Check your tags and categories. Do everything we tell you to do in our Content SEO book and in Marieke’s posts. Now, change the URL of your old post (adding for instance -old to it) and hit update. Publish your new post under the URL of your old post. Link to your new post from other posts more recent than your old post. Then delete the old post and redirect it to the new one. You delete a post by clicking “move to trash” in WordPress. Our WordPress SEO Premium plugin will give you a notice to redirect the post to a new URL when you do. If you don’t use our WordPress SEO Premium plugin… Well, you should! I often find myself merging several old posts into one newer post. The reason is that posts we write here are longer now than they were in the past. Also, sometimes something has become easier to explain. You can still do all of the above and just redirect all your old posts into your single new post. If the value of the post was truly only temporary, don’t be afraid to delete it. When we delete old content, we redirect the URL to the most appropriate URL on the site. You could also just decide to let the old post 404. If people are linking to your old post and you delete it, you’re throwing away link value. At that point, it’s better to redirect the old URL, if only to your homepage. Don’t throw away history though: historical posts are fun to link back to later on. For instance, in our infographic post earlier this week, I linked to my original gravatar post. This post belongs to the history of this site, deleting it would be a shame. Ready? There’s more website maintenance to do! Once you’re done with this (or have had enough for a while), make sure to do the other website maintenance tasks too. For starters, clean up your 404’s! This post first appeared as Website Maintenance: clean up old posts & pages on Yoast. Whoopity Doo!